As essential as printers or multifunction devices are to today’s businesses, they are often not used to their full potential. But your device may just have secret superpowers beyond simply printing that can help you look after yourself, your company and the environment. Not convinced? Just check out these printer features you might not (but should) know about. If your organisation is serious about reducing their carbon footprint, then these are features you should be familiar with. While most people are aware of double-sided printing, people often simply forget to select this feature, leading to unnecessary waste. By defaulting to double-sided printing, you can eliminate the human error factor and dramatically cut down on paper. This function helps minimise power consumption by putting the device in sleep mode after a certain period of inactivity. This not only helps to reduce your business’ carbon footprint, but also saves energy costs. It’s not just your printer that can have hidden features – your printer provider can too! KYOCERA, for example, offers a recycling program that helps you recycle e-waste, such as old devices or used cartridges, with ease. You can help your company achieve better productivity, more flexibility, improved efficiency and reduced overheads with these 6 features. This setting reduces the noise the device makes, meaning less disruptions and happier, more productive employees! Forget about having to hire a third-party – now you can print high-quality professional stationery on-site at just a click of a button. Not only does this save money and look great, but it also gives you more flexibility as you can easily make changes (e.g. update contact details) without having to throw out stationery with incorrect information. Sure, you know all about duplex printing – but did you know duplex scanning is also available? This helps to save time, improve efficiency and reduce scanning errors – perfect for businesses who regularly deal with large volume of documents. As more and more businesses move to cloud storage and cloud-based apps, this can inadvertently complicate certain tasks by adding extra steps. Many, for example, will move documents from their cloud space to their desktops in order to print them, or they will scan documents from the printer to their desktop, before then transferring that file to the cloud. This is not only inefficient, but can potentially compromise the security of documents. With KYOCERA Cloud Connect, however, you can easily print documents stored in Evernote or Google Drive, while also scanning documents directly to your cloud storage, all without the intervention of a computer, thereby increasing efficiency and also ensuring your data remains secure. The cost-per-page of printing in colour is significantly higher than that of printing in black and white – and your employees may not even realise they’re doing it. Help reduce overheads by defaulting to black-and-white printing, saving expensive colour toner for when it’s actually required. With mobile phones and tablets never far from the busy modern worker’s fingertips, and workforces adopting more flexible arrangements (such as remote working), mobile printing is a device feature every forward-thinking organisation needs. And with just a simple app, you can have it. By implementing mobile printing, this government school in Victoria, for example, was able to greatly improve efficiency, all while reducing costs and maintaining document security. Want to save yourself time and money? Then these 3 features are for you. Don’t waste time with tedious tasks like stapling – let your printer take care of that for you. With KYOCERA devices, you can take automate processes like stapling, hole-punching and tri-folding as part of the printing process, so you can spend your time where it’s going to deliver more value. Ever spent a frustrating amount of time waiting for large documents to print? Well, now you no longer have to. And no, you don’t need to invest in a more expensive, high-speed machine. You can dramatically speed up high-volume printing tasks simply by installing a single piece of software called Cluster Printing, which allows you to distribute your large print jobs across two to four printing devices – effectively printing the document four times faster. Why outsource to a third-party printing service when you can print high-quality documents like booklets and posters on-site, at a fraction of the cost? 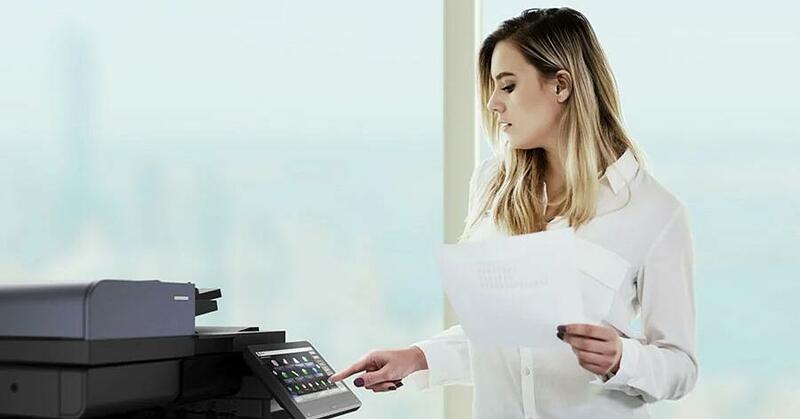 It’s faster than you think – when a group of KYOCERA devices are set up correctly, you can print up to 320 pages per minute. Make sure you’re getting maximum benefit (and ROI) from your KYOCERA device by making the most of these features. A printer or multifunction device plays an important role in your business’s document management ecosystem. To make sure that you’re optimising that system, why not consider our Managed Print Services (MPS) offering? To learn more, download the Managed Print Services Fact Sheet.